In this edition of the Precision.AgWired.com Podcast, sponsored by Ag Leader Technology, we hear from a panel that discussed how to maximize yields using precision ag techniques. David Waits, President and CEO, SST Software, was joined by Terry Griffin, Professor of Production Economics and Row-Crop Farm Management at the University of Arkansas and Bruce Erickson, Director of Cropping Systems Management at Purdue University at the recent GROWMARK FS GreenPlan Maximizing Yields seminar. Waits says the biggest issue is the standardization of data. Erickson, says precision agriculture is much different than when it started in the mid-1990s, with the biggest jump in technology in the guidance field. In fact, he says precision is really now the conventional way of farming. He adds that most of the benefit from precision ag has been in the form of lowering input costs and maximizing yields. But Griffin says we’re also seeing a benefit to farmers’ and their families’ overall qualities of life. “Even if we ignore the economics, people are happier.” He says less stress and less fatigue that precision agriculture helps bring to the table are making real differences in people’s lives. 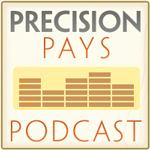 You can subscribe to the Precision.AgWired.com Podcast here.